So you’ve decided to publish your next (or perhaps first) book online as an ebook. And why not? The market for ebooks is booming; PricewaterhouseCoopers forecasts ebook revenues in the USA to be $6.74bn in 2015. Considering the average ebook price is around $6, that’s over a billion books being bought and sold this year. So how can you self-publish your work and distribute digitally to millions of potential readers? That’s exactly what I was asking myself in late 2014 as I was beginning to map out my book project, “Online Business in Asia: How To Sell Online To The World’s Largest Market”. I wrote this post to give you the self-publishing guidebook I wish I had when I first started out. There’s a lot of material here, so if you’re writing a book (or planning to) you might want to bookmark this page so you can come back and reference each section as you work through your own self-publishing project. (Press Control and D for PC users, or Command and D keys for Mac users). I’m going to go ahead and assume you already have the key concepts of your book thought through. There’s no denying this; it takes a good amount of time to write and re-write your manuscript. I spent around 6 months of my free time tapping out the 56,000 words needed to complete my latest ebook. There is an unfortunately large number of poorly written, and poorly edited, ebooks available on Amazon and other online ebook retailers. Make sure your work stands out from these by hiring a good quality copyeditor. Before you send away your manuscript, make sure you’ve read through it at least 3-5 times yourself, and if you’ve got an obliging partner or friend, ask them to read over it too. A fresh set of eyes will pick up many things that you might have missed. If you’re writing in MS Word, make sure you enable Track Changes, so you can see the edits you and others have made along the way. Much like on Google or Yahoo, customers visit Amazon and search for book titles based on keywords. It therefore makes sense to give some serious thought to the keywords you use when constructing your book title and subtitle. If you head to merchantwords.com you can browse the most popular keywords searched for on Amazon within your genre. It is a paid service, so you’ll have to decide if it’s worth the investment, but you can still use it 5 times for free each day to try it out and get some basic info on popular keywords. An eye-catching title will certainly help you to catch readers’ interest, and hopefully that interest will lead to more sales. Try to combine your keyword research with a short, catchy title, followed by a longer, more descriptive subtitle. 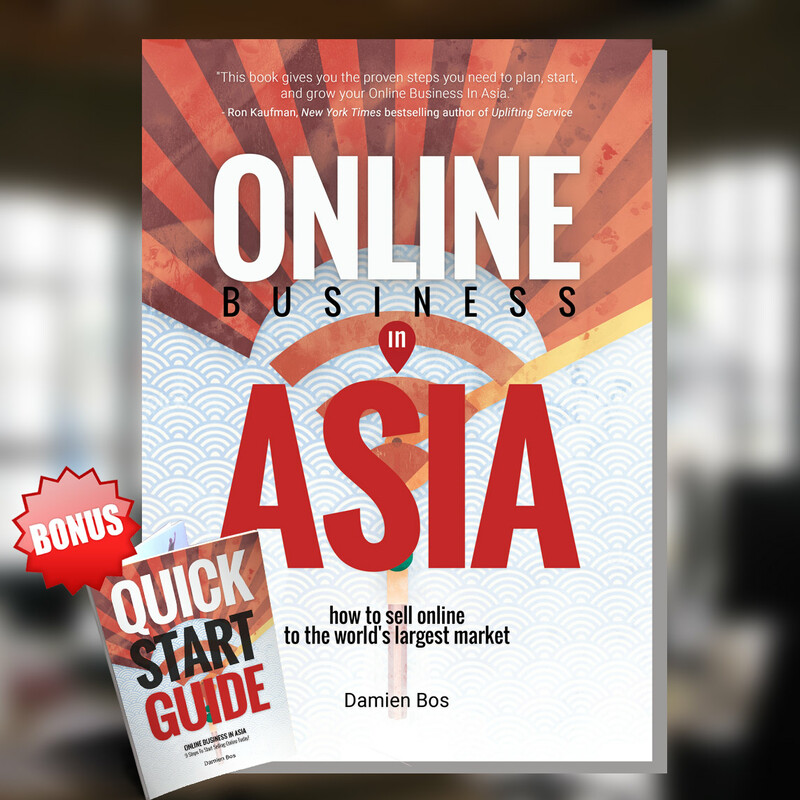 For example, by latest ebook is called “Online Business in Asia”, and the subtitle is “How to sell online to the world’s largest market”. While getting creative with your title, remember to keep it simple, and stay true to your subject matter; there’s nothing more disappointing than reading a book that doesn’t deliver on it’s front-page promises. Take a look at similar book covers in your genre on Amazon and Pinterest; what do you like about their designs, what colours are common to books like yours, and how could your cover stand out against the competition? 5. Does Your ebook Need an ISBN? First of all, what is an ISBN? An International Standard Book Number is a unique identifier, which you’ll find on the copyright page of all published books. It’s a bit of an antiquated system, and there’s no real register to search the numbers (as far as I’m aware of), apart from searching for ISBNs on Amazon.com or other online (or physical) bookstores. ISBNs are combinations of 13 numbers, and are usually used uniquely on each version of a book published, for example; the Kindle version, PDF version, Smashwords versions, and any other formats of my book “Online Business in Asia” all have unique ISBNs. Do you need ISBNs? For ebooks probably not. If you’re publishing on Amazon KDP and in PDF format, you won’t need to have an ISBN, but it may help to make your copyright page look a little more professional. If you’re printing physical books, some retailers might require you to have an ISBN before they list your titles. Besides making you look more professional, an ISBN will allow you to be your own publisher rather than having no registered publisher, or being listed as published under Amazon, CreateSpace or Draft2Digital (or one of the other online automated book publishers). If you do decide to use an ISBN (likely more than one if you’re producing several formats of your book), you may have to pay for the privilege. If you’re in the USA, you basically have no choice but to buy your ISBNs through Bowker https://www.myidentifiers.com/get-your-isbn-now at US$125 for 1 ISBN or US$295 for 10. Not cheap. US authors can get ISBNs for free by using a publisher like CreateSpace or Draft2Digital, but then you have to be comfortable with being “published” by one of these companies. I’ve heard there are many other countries with similar arrangements to Hong Kong in regard to free ISBNs, so it may pay to do a quick search in your home country before shelling out. There are 2 main formats for ebooks; EPUB (for most open-source ebook readers), and MOBI (for Kindle). You’ll want to produce your book in at least these two formats, and you’ll probably not want to do this work yourself (trust me). Hire an expert to get it done quickly and properly. I used http://bbebooksthailand.com/ and they charged me around US$125 to format my 56,000 word non-fiction book into 4 different formats; EPUB for Nook, EPUB for Smashwords, a generic EPUB version, and MOBI for Kindle. There are several reasons why you’ll want to have multiple versions, and if you do the formatting yourself you’ll find these out the hard way. You might also want to create a PDF version of your book, though this is less professional and doesn’t work that great with the many different e-readers and varying screen sizes used by your customers. The main drawback is the non-responsiveness of the text in PDF format; when you save a PDF file, the words are fixed into position on each page, rather than being fluid and automatically adjusting to fit each page as an EPUB or MOBI file will. Have you noticed the popularity of podcasts and audiobooks over the past few years? This market has been exploding, as “readers” often prefer to download the audio file to listen to while they’re on the commute to work, jogging, or driving in the car. You can find a professional voice recorder and editor on elance.com for around US$30 per hour of finished audio. An average book might be around 6-8 hours long, so you’re looking at US$180 – US$240 for a completed audio book. Same rules apply as hiring a writer on freelancer.com in section 1 above; protect your privacy and your work. This could be the topic of an entire blog post, or perhaps even an entire blog. But we’ll just cover the basics here for now; in short you definitely want to be selling on Amazon. No other online retailer comes close to the volumes of traffic and book sales that Amazon generates. Whether or not you want to publish on other online bookstores is up to you. Amazon pays you “royalties” for books sold on their websites around the world. You are free to choose how much your book will be, but the pricing you choose impacts your royalties; books priced between US$1.99-9.99 give you 75% royalty for each sale, and books outside this price range give you 35% royalty. Obviously, then, there’s not much point in selling your books for US$10-20, as you’d make the same or more by pricing your book at US$9.99. When setting your pricing, it pays to do some research in you niche or category. How much are other books selling for? You’ll want to be in the same ballpark, unless you have something completely unique to offer that justifies a much higher (or lower) price point. If you’re planning on writing a series of ebooks, you might consider releasing the first book for free, and quickly following it up with the second book in the series for which you charge the standard price. This can be a great strategy to get readers on board with your titles, and if they like what you’re publishing they will be back to pay for the next books in the series. If you’re planning on publishing on Smashwords, you’ll need to price your book in USD ending in .99 – they won’t accept any other pricing. Amazon and other online book stores will search the internet and look for the lowest price for your book, automatically adjusting your pricing to the lowest in the market, so you’ll want to keep the pricing consistent across all of your platforms. Once you publish your book on Amazon, you can then go forward and set up an Amazon Author page. You can build rapport with your readers by keeping this page up to date with a photo, author bio, reviews, and links to your videos, twitter feed, and recent blog posts. This is a powerful tool for connecting with you potential customers, and definitely worth investing time into. Reviews and sales help you get visibility on Amazon; it’s a crowded place, and these two variables help you stand out from the crowd. Beg, bribe, and do whatever you have to to get your friends, family, readers, and colleagues to write a review of your book. The more reviews the better; it will move you up in the search results for your keywords, and lend your book more credibility. When you publish your book on Amazon, you get to choose 7 keywords which best describe your book. Take time to think about and research these 7 words! Again, merchantwords.com will help you with this. It’s a great idea to sell your ebook on your own website or blog; you get the benefits of keeping most of the money from the sales, as well as the contact details of your customers (you don’t get any customer info from Amazon). So how can you best do this? You will need traffic in order to sell books and this is what you pay Amazon for: access to their huge volumes of daily customers. Establishing yourself as a thought leader in your field will help you to build good volumes of traffic on your blog or website, and you can then funnel these visitors towards purchasing your ebook. This comes with time and producing good quality, useful content. Many bloggers provide free resources on their site to build traffic, and then offer additional products (such as an ebook) as a paid-resource from a trusted source. Take a look around this website as an example! You could set up a WordPress or Shopify website with a shopping cart connected to PayPal, but that’s quite a lot of work to simply sell one ebook. Instead, you might consider using a combination of Instapage (as a landing-page and sales funnel), and Gumroad (as a shopping cart and digital delivery system). We’ll explain these both here. A landing page or squeeze-page is essential to getting good conversion sales rates on your ebook. Use Instapage or Leadpages to create a page like this. Basically, you are creating one large sales pitch for your book with multiple calls-to-action throughout, and no distractions or links to external pages. Once the prospective customer has entered this page, they either go forward to purchase, or have to press the back button to exit. It’s an incredibly focused way of presenting and selling your ebook (or any other product for that matter). Instapage has plenty of templates for squeeze-pages, and the interface is quite simple to use and edit; just drag and drop your images and edit the text. You can also create multiple versions of each sales page, allowing you to A/B split test anything you like until you optimize each function of that page. How to take payment and deliver the ebook is the next question to answer, and thankfully it is very painless with Gumroad. For a 5% fee of all of your sales revenue, you can store your digital files on their server, and process payments from all major credit cards. The user interface is very clean, modern, and simple to use; the customer simply enters their email address and credit card details and the transaction is completed instantly. A download link is emailed to the customer, and tracked by IP address so your files can’t be easily shared. Gumroad also offers PDF stamping, placing the customer’s name in a watermark on each page of your PDF ebooks, for extra personalization and security. Gumroad allows you to link your PayPal account to your Gumroad account, and automatically instructs a free transfer of all funds received to your PayPal account on a monthly basis (less their 5% fee). Personally I’ve been very pleased with the service and user experience offered by Gumroad when selling my ebook Online Business in Asia. I’m going to keep this paragraph short; you know you need to be active on social media. Build a community of social followers and direct these people to your Instapage squeeze pages, or straight to your Gumroad ebook checkout. You get the point. People who are already convinced about buying the book will probably be interested in other resources that you can offer. Business customers, who are buying on behalf of a company or team, will often go for the package with the most perceived value and added benefits. Bundling helps you to catch and up sell a wider range of customers; many online book retailers I have observed have reported selling many more of the expensive bundles than the stand-alone ebook. Don’t miss out on this additional revenue opportunity! There’s a lot of info here, but there’s always more to discuss! Feel free to leave your thoughts and tips in the comments below on this page. Self-publishing a book is a big project, but if you follow the above steps it can be done both on a budget and professionally – it’s never been easier or cheaper to be a (self) published author, so go on and get started today!